I read this article and thought it was brilliant, thought it might be something for you. 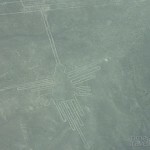 The article is called The Nazca Lines and is located at https://timeasatraveller.com/nazca-lines-peru/. 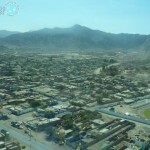 I arrived in Nazca on a fancy Cruz Del Sur bus with leather seats. It was my very first night bus experience, and quite the luxurious one. In our attempt to book semi-cama seats, we had booked full-cama… so it was a lovely case of accidental luxury. 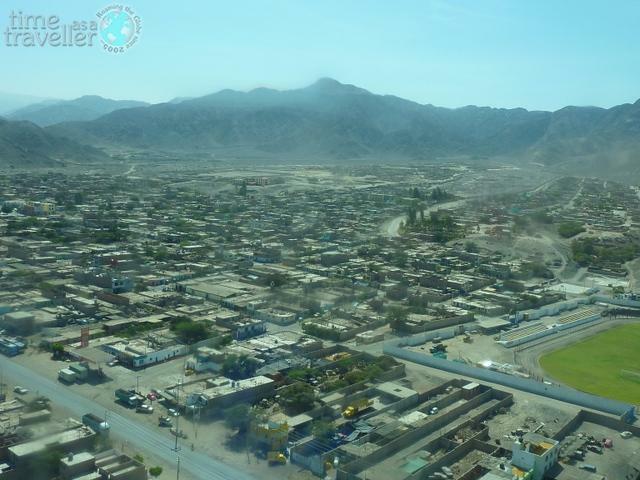 On arrival at the bus station we were surrounded by countless tour company’s offering flights over the Nazca Lines. There aren’t a lot of hostel options in Nazca, so we went for The Nazca Trails Hostel, which was actually a few rooms out back of a travel agent that were in the process of being done up. It had wifi, they picked us up from the bus station, AND upgraded us to a room with an en-suite for free, so I couldn’t thank them enough. A lot of people skip Nazca. Walking about the town I could understand why. It’s a small, run down place, and when we arrived there was lots of construction going on. 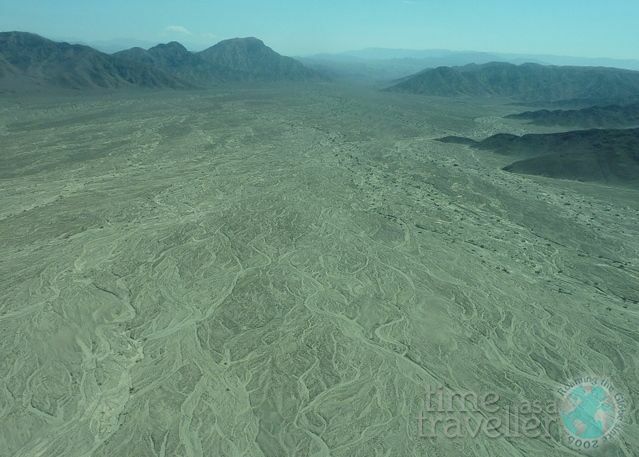 The main reason for me to visit Nazca was the Nazca Lines, which had mystified me since I was a child. 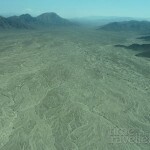 The Nazca Lines can only be seen from the air, and cost about $US55 for a 30 min flight in a small plane. It is worth it if , unlike me, your stomach can handle it. We organised with the hostel to go the following day. I had no idea what I was in for. Thinking an empty stomach would be a bad idea, I made the enormous mistake of having a banana for breakfast before we got on the plane. What i didn’t know, is that the pilots get a little intense. There were 4 of us on our plane, and our pilot was kind enough to swerve the plane side to side to allow everyone to see everything. 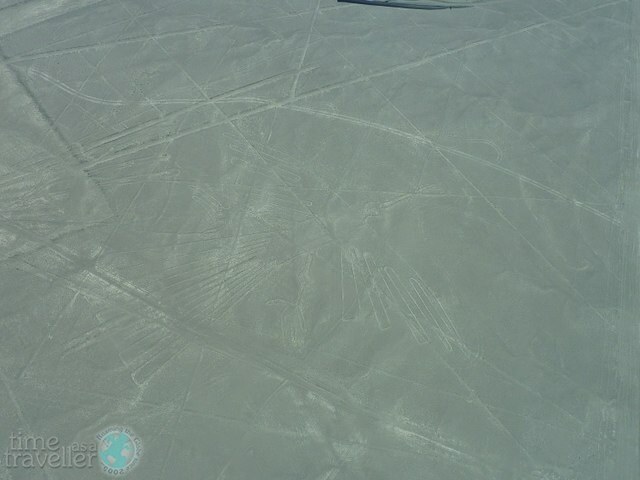 The wing was pointed at each picture in the sand while we circled it, then the plane flipped around and did it again on the other side, to ensure that everyone saw everything. My head felt a little like it was about to explode. Add in my brilliant idea of having a banana for breakfast, which saw me vomiting for 25 of the 30 minute adventure… into small transparent bags. One of the most painful and disgusting experiences of my life to date… done in one of the most mysterious places on the planet. The experience was definitely… unique. 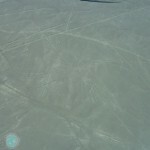 What I did see of the Nazca lines got my imagination running. Although there are numerous theories, still no one is certain about how they got there or why. What most baffled me was strange things like how a picture of an extremely rare spider only found in the depths of the Amazon appeared etched out in the Nazca… hmmm. It’s all very mysterious, and I’ll leave that one to your imagination. 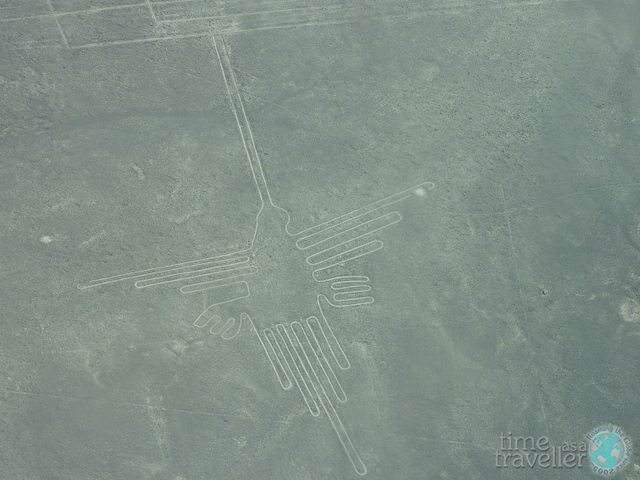 I’d definitely recommend reading up about the Nazca Lines before you arrive. For the rest of our second day in Nazca we found a 4 star hostel and paid to swim in their pristine pool, along with about 5 other travellers who had backpacks dotted around the edges of the pool. Other things for a traveller to do in Nazca… eat BBQ chicken with chips. That’s good. Then you can probably leave. The night bus to Arequipa leaves at 10pm. Now for the question you must be asking yourself, On your travels in South America should you bother stopping off at Nazca?